Environment Canada, as its name suggests, is the primary department of the Government of Canada concerned with protecting the environment. This goal, however, tends to obscure the fact that scientific and technical activities form its core. Indeed, most of the Department’s budget and the majority of its employees are devoted to those activities. When Environment Canada was put together more than 40 years ago, it spent twice as much on its intramural science and technology as the next largest government performer, the National Research Council. Although it no longer claims that dominant position, the Department still accounts for one of the largest expenditures on science in the federal government. Its scientists author or co-author, on average, more than one peer-reviewed scientific article daily. 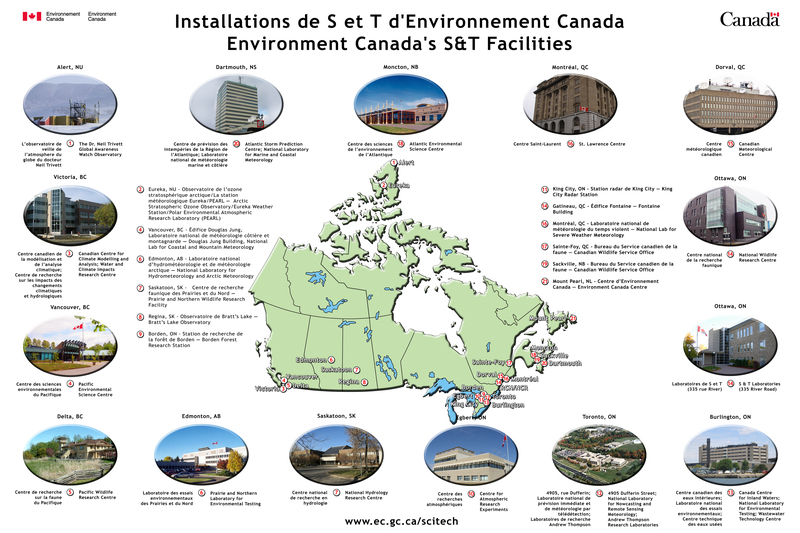 The Department is the key player in environmental science and technology in Canada. The importance of science and technology to Environment Canada should not be surprising. After all, science is the main way in which we understand nature. The Department uses science to provide and improve on services to Canadians (e.g., weather forecasting), to set regulations and to develop policy. Science, as is often said within the Department, is its foundation. Despite this, science essentially plays a subordinate role. It is the means to environmental goals. Consequently, dilemmas arise due to competing claims for management attention or within governmental and departmental priorities. Departmental scientists, over the course of Environment Canada’s history, have often felt as if they and their work were being neglected. My recent book, Environment for Science: A History of Policy for Science in Environment Canada, sets out the history of how the Department has attempted to look after or manage its scientific and technical effort since its establishment in 1971. It looks at who did the Department’s policy work on science and reviews the range of issues dealt with. To avoid any misunderstanding here about the scope of the book, it is probably best to underline that it is a history of policy for science and not of science for policy. The use of science by Environment Canada in developing policy is an important topic, one that would require many books. But, with the exception of one chapter on linking science and policy, that is not the subject of this one. Environment for Science is divided into five parts. The first traces the evolution of the organizational unit within the Department that was the focal point for policy work on science. Several forms of organization have been tried over the years including a Science Advisor and the current one of an Assistant Deputy Minister for Science and Technology. The book sees the use of different mechanisms as a reflection of Environment Canada’s lack of success in finding a way to effectively integrate the management of science and the management of the Department. The Department’s policy work on science was episodic, driven by both internal and external factors. It was also essentially a process, consisting of meetings, suasion and the exercise of authority. In addition, the work dealt with a wide range of issues. The book sorts out the activities undertaken to attend to issues into four categories: general strategy, capacity, collaboration and communications. These are examined in the remaining four parts of the book. Developing and then implementing long-term strategies in a government setting is always challenging. Part Two of the book looks at general strategies and, in particular, at strategies for northern and international science. Policy work in this area in Environment Canada faced internal challenges, such as the need to link strategies to planning and reporting systems, as well as external ones in the form of a lack of demand for them by the federal government. Capacity is the subject of Part Three, with chapters on its financial, physical infrastructure and personnel dimensions. The book concludes that policy work here was necessary to define criteria for what science should be done by the Department, to assess its requirements and to provide arguments for increasing capacity. But it was not sufficient to deliver the needed resources. Collaboration, another major area of the Department’s efforts in policy for science, is explored in Part Four. Chapters review policy work aimed at increasing collaboration with other science-based federal departments, universities and industries. Environment Canada was very innovative in its policies for scientific collaboration. However, these were tempered by such factors as inadequate resources, the lack of alignment of environmental and economic priorities, and the weaknesses of coordinating mechanisms within the federal government. The last part of Environment for Science considers policy work on science communications. Those interested in the recent controversies about the muzzling of Environment Canada scientists will find here the historical background to the issue. And, as noted above, there is also a chapter on efforts to improve the use of science in decision-making and in the development of environmental policy. I wrote this book for several reasons. I wanted to foster a better understanding of policy work on science in a government department. And, in a work environment that is usually fixated on the near term, I wanted to preserve a part of Environment Canada’s corporate memory. I hope that it may also prompt some historians, including those interested in Canada’s environmental history, to study how science in government has been dealt with and the varied roles it has played.